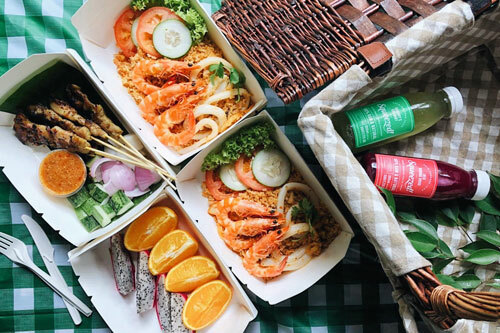 For those planning to have a picnic in Singapore’s first UNESCO heritage site, this one’s for you. Tired of having to prepare your own food and drink baskets? Take the fuss and stress out of picnics by simply renting one from Casa Verde! Choose between the two sets on offer—the local set includes Seafood Nasi Goreng and Chicken Satay while the regular set includes pizzas, deep fried winglets, and a salad. Both baskets come with cold-pressed juices and seasonal fruits. Psst… Bring the dogs along—we’re dog-friendly! Don’t say bojio.